EARTHWORM JIM is s a run and gun platform video game starring an earthworm named Jim in a robotic suit who battles evil. The gameplay of Earthworm Jim is very bizarre. Launching cows,using Jim's head as a whip and other bizarre twists add to the insanity. Metal Slug is an action platform video game developed and released by Nazca Corporation and later published by SNK. It was originally released in 1996 for the Neo Geo MVS arcade platform and was converted to Neo Geo AES. The game features fast action with tons of colourful sprites and animations. 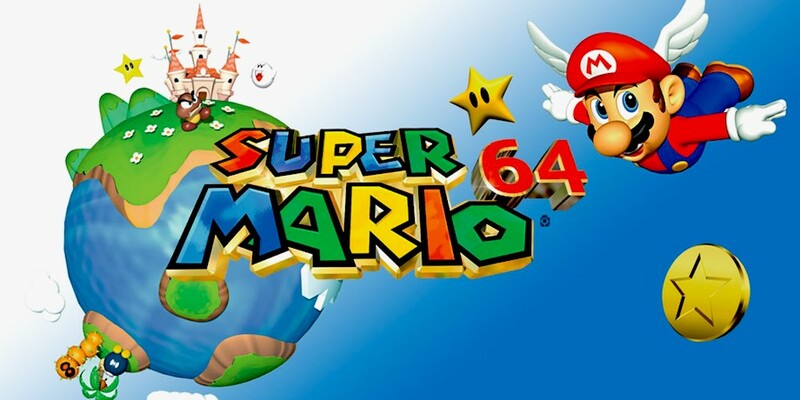 SUPER MARIO 64 is a 3D platform game developed by Nintendo.Super Mario 64 was the first 3D platform game in the Mario series and it established a new archetype for the genre much as Super Mario Bros.
GameAntique.com is a website about retrogaming and rare video games. We have hundreds of videos, screenshots and reviews of classic and rare video games for NINTENDO, SEGA, SNK, SONY consoles. GameAntique.com is a reliable source for the retro gamers around the world. Captain Commando is a futuristic side-scrolling beat'em up video game originally developed and published by Capcom for the arcades in 1991. The Revenge of Shinobi, released as The Super Shinobi in Japan, is a video game developed and published by Sega in 1989 for Sega Megadrive. It was the first Shinobi game developed for the Sega Megadrive. This game is a sequel to Shinobi alongside Shadow Dancer and the game music was scored by Yuzo Koshiro. Lillehammer 94 Winter Olympics is a video game published by U.S. Gold for Super Nintendo Entertainment System. The game was developed by Tiertex Design Studios in 1994. The game featured 10 events with the theme of Lillehammer as it was an officially licensed product of the winter olympics. Mars Matrix: Hyper Solid Shooting is a vertical scrolling shooter arcade game developed by Takumi in 2000. The game was published by Capcom and it was later ported to the Sega Dreamcast in 2001. The arcade version used the famous CPS-2 arcade system board. Tokyo Xtreme Racer 2, known as Shutokō Battle 2 in Japan is the sequel to Tokyo Xtreme Racer which was also released for Sega Dreamcast. The game was titled Tokyo Highway Challenge 2 in Europe. Tokyo Xtreme Racer 2 has been enhanced with better sound quality and graphics over the first game.